FIGMENT lights up Chinatown Park this winter! 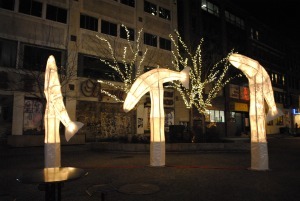 As part of the Winter Lights series on the Greenway, FIGMENT will feature five interactive art displays in Chinatown Park throughout the winter season. The kick off event will take place Thursday, February 9th at 6pm. Musical compositions and dance performances will introduce the projected art and light displays.